Once the menu is active, you can use the arrow keys to navigate up and down, and return to select a given speaker. This allows you to tell iTunes to control a Homepod or other AirPlay 2 speaker from the keyboard. Unfortunately there is no way I can find to automatically select a specific speaker – you ﻿have﻿ to manually do it with the arrow keys. R Markdown is very nice way to write literate R code. Recently, [reticulate](https://rstudio.github.io/reticulate/) became available, which bridges R and Python in R Markdown documents. The py_config() command should print out the path to the Python executable in the virtualenv created by Pipenv. Did you know that you can use Bundler inside single Ruby script (without Gemfile) and automatically install required dependencies for it? puts "Posts from r/ruby front page:"
Create a picture using a graphics program, such as AppleWorks. Save the picture in PICT, TIFF, GIF, JPEG, or any other QuickTime-compatible static image format. QuickTime-compatible movies or QuickTime VR objects cannot be used. Name the picture "Lock Screen Picture". Copy the "Lock Screen Picture" file to /Library/Preferences/ on the client computer. I was very dubious that it would work, but incredibly it does! 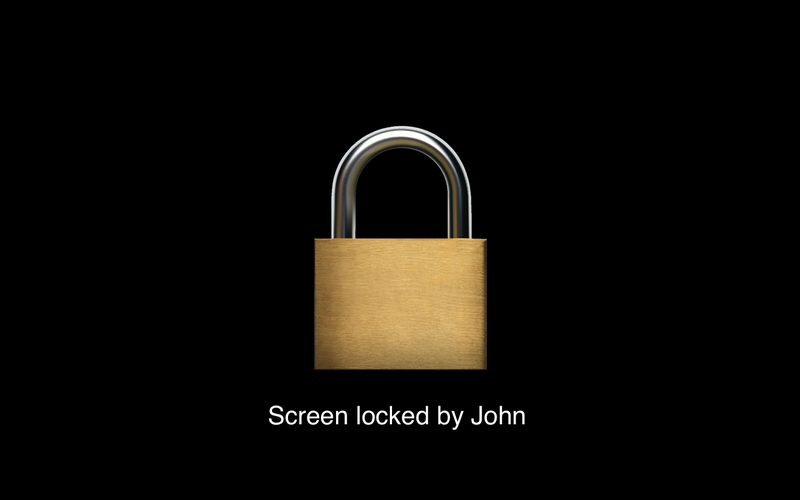 If you save a plain black .tiff like this one as /Library/Preferences/Lock Screen Picture.tiff, the padlock image will disappear. 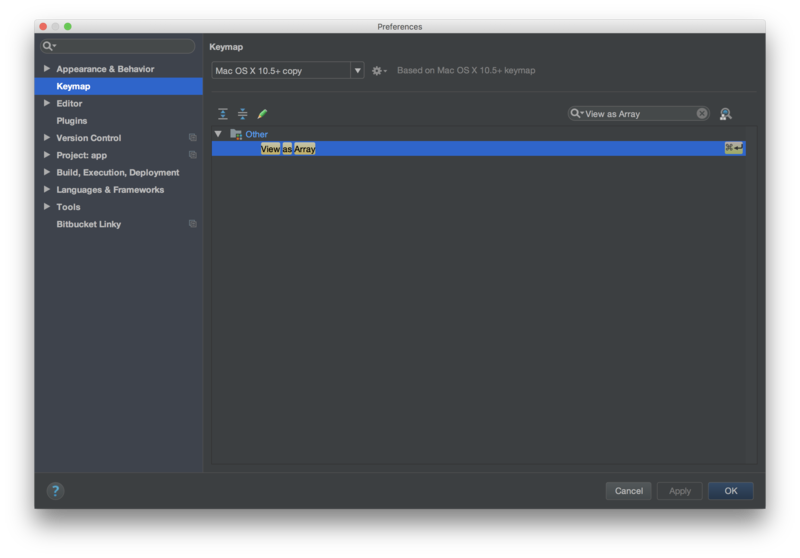 This will create a new commit moving path/to/file.ext to LFS. If you do need to rewrite history, see the documentation for migrating data to LFS. You should see an entry for path/to/file.ext in the resulting output. I've found that Pocket's bookmarklet is not reliable in Safari and Safari Technology Preview due to browser security measures against 3rd party cookies. This results in their official bookmarklet asking me to "Please login" every time I try to use it. You can use the Bookmarklet Maker to turn this code into an actual bookmarklet. 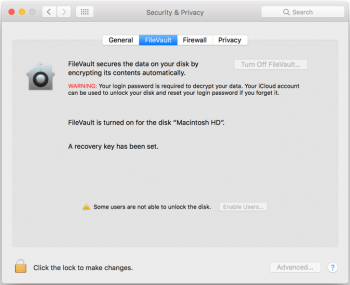 Fix FileVault's "Some users are unable to unlock the disk" error when the APFS boot disk is manually encrypted with a "Disk Password"
This happened to me because I restored my boot disk from a full disk clone (thanks to a bad macOS update installation). I didn't want to restore to an unencrypted disk, so when I booted from my backup disk to do the restore, I used Disk Utility to encrypt my internal boot disk with a password. After searching around for how to fix failure of "Enable users" when "Some users are unable to unlock the disk", I discovered that there are a set of command line utilities for dealing with FileVault and I was able to fix the problem by decrypting the disk and then re-enabling FileVault. Then I simply re-enabled FileVault through System Preferences. Warning: Messing around with disk encryption (or messing around with anything involving your boot disk) is risky. Always have a known good backup before you try anything like this, and proceed at your own risk – I am not responsible if you break your disk trying to follow these instructions. tweetstorm.io has a nice landing page but isn't working as of writing. 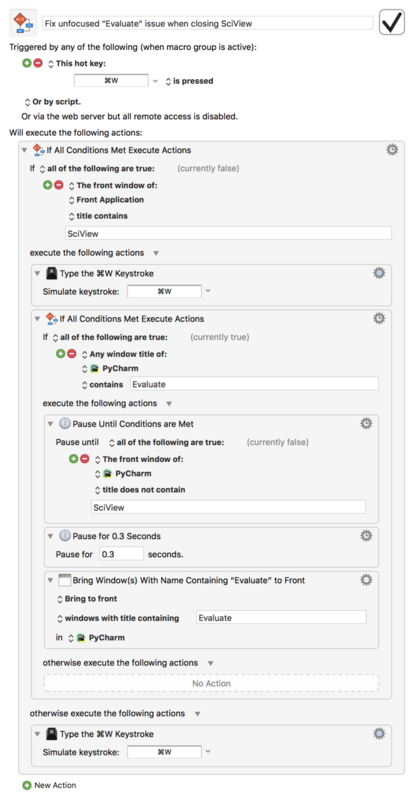 While debugging, open the "Evaluate" window (bound to cmd-; in my configuration). Now the question is how to activate the "View as DataFrame" button with the keyboard (see green arrow above). Turns out you can bind "View as Array" to a keyboard shortcut, which will also trigger "View as DataFrame". So I tab from the "Expression" text field to the "Results" area and then hit my "View as Array" shortcut (cmd-enter). This opens the DataFrame in SciView.